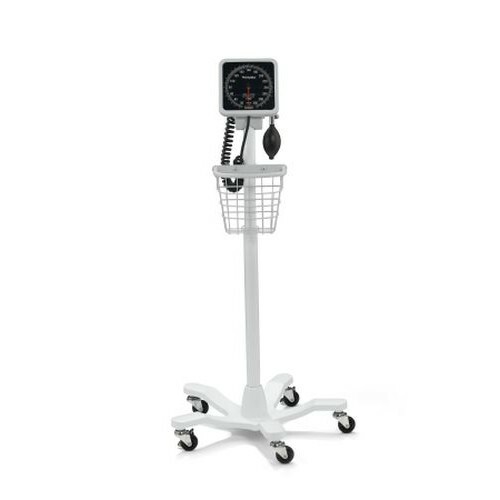 The Welch Allyn Mobile Aneroid Sphygmomanometer is designed for improved patient care with its ergonomic and mobile design to facilitate blood pressure readings. It's part of the 767-Series made by Welch Allyn, a leading manufacturer of blood pressure technology. 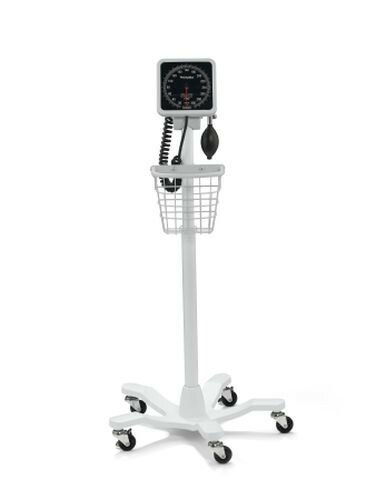 It offers convenience and ease of maneuverability to the patient being pole-mounted on five legs with caster wheels. It comes complete with a reusable adult cuff with inflation bulb and valve that's attached to a 4-foot coiled tube. The cuff is latex-free and features FlexiPort technology to offer antimicrobial protection to prevent the growth of bacteria. You may also be interested in the wall-mount aneroid for a stationary option. Is this a new or refurbished unit? All available units are sold as new.